All ENCINO RIO homes currently listed for sale in San Antonio as of 04/24/2019 are shown below. You can change the search criteria at any time by pressing the 'Change Search' button below. "3 BED/2.5 BATH 2386 sq ft. HOME in ENCINO RIO. Updated hardwood flooring & carpet, impeccably maintained home radiates with natural light! Fireplace in family room, formal dining, large kitchen with eat-in breakfast nook overlooking backyard w/ privacy fence. Upstairs enjoy an oversized Bonus Room/Loft! Master Suite w/ spa-like bath and oversized walk in closet. Gated community features pool, tennis courts & playground! 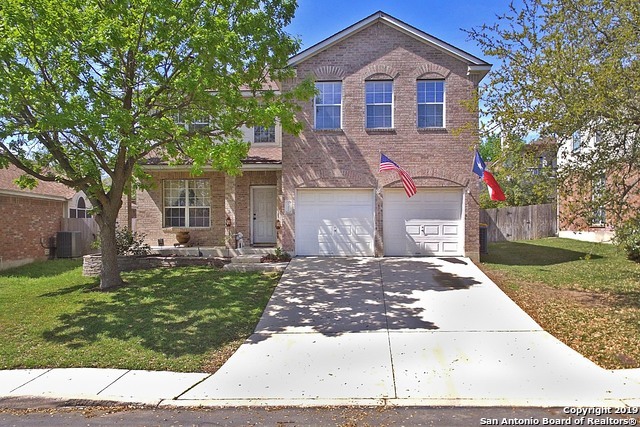 NEISD Schools; quick access to 281/1604, shops & restaurants. A MUST SEE!"